A foregone conclusion? Maybe, as July was one of the weakest months in recent memory for game releases. But Splatoon 2 is still great. There was so little released (of note) last month that our internal voting for the GotM wasn’t even left up to a poll. We all pretty much just agreed that Nintendo’s Splatoon 2 was going to get the award. That’s not to say that it was the only game that we played and thought was great in the seventh month on the calendar. No, it’s just that it was far and away the best. Splatoon 2 doesn’t bring a whole lot new to the table from Splatoon. The game adds a new mode and revamps the single player, but the gameplay is as rock solid as ever. 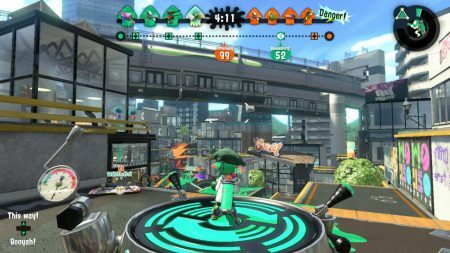 The long term support Splatoon 2 is receiving means that if anyone is on the fence about jumping into this stellar franchise, now is probably a great time to do it. Splatoon 2 refined the formula from the original release on the Wii U, adding in some new elements while keeping what worked. Was it a little too safe? Maybe, but it was also tons of fun, and one of those games that you might find yourself going back to, over and over again. Still, that didn’t stop our Nintendo Editor Michael from penning a Brutality on it. He tells how he really feels about the game here. As for runners up in July, there was only one. 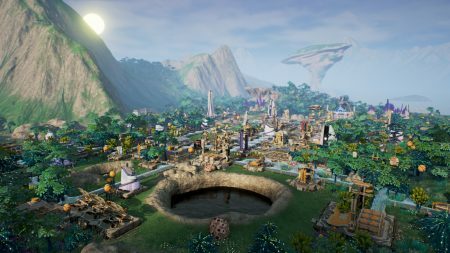 It’s not a game that you’d probably think of right away, but Aven Colony made an impression with us. Reviewer (and podcast host) Erich had some very good things to say about the city-building title in his review. Aven Colony allows players to build a number of colonies on an alien planet. There are moments of tedium, but they are far outweighed by the robust city building tools players have access to. Interesting note too, Aven Colony actually had such an impact on Erich, that it sparked his imagination. He wrote the Make This Game for July, and combined Aven (and other city series’) with one of his favorite FPS franchises to dream-up a building game that I think anyone would want to have a go at – a BioShock City Builder.